This template is best showcased on a digital screen indoors or at the entrance of the restaurant. 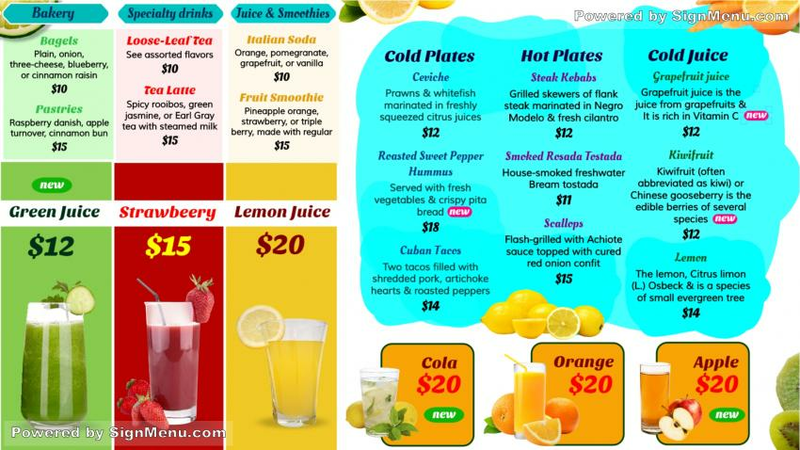 Juice bars with their savory drinks are very popular in America and most are doing brisk business. Digital signage will add and enhance their customer engagement which will result in increased sales and profits. This template is ready for download and use.